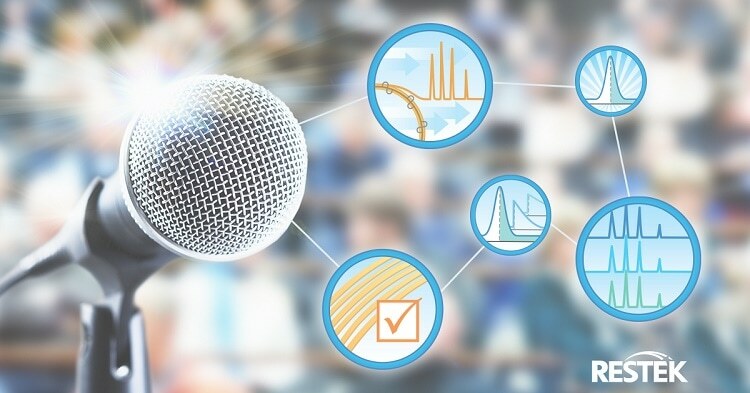 Chromatographers from Restek will be presenting at Waters’s upcoming seminars on April 2 in Greenbelt, MD, and April 4, in Morrisville, NC. These educational opportunities are aimed at scientists analyzing food and agricultural products using GC-MS. Topics include chromatographic theory, column selection, troubleshooting, and practical applications ranging from pesticides to mycotoxins analysis. Register today and join us for an outstanding technical training event focused on recent innovations for food testing. This course is a solid initiation into the fundamentals and best practices of this widely used technique. You will gain practical knowledge of the principals of gas chromatography, and GC column selection, as well as maintenance and troubleshooting. Chromatographic examples will be provided throughout the presentation. View full program and register today.